Skimpy underthings, fabricated events, thinly veiled threats, and a dead girl’s birth certificate—just when you thought the Victoria’s Secret West African child-labor scandal couldn’t get any weirder, now Homeland Security is leaping into the fray, according to Bloomberg News on Friday. The media outlet, which “outed” the lingerie empire in December for allegedly using underaged labor in its so-called “fair trade” line of undergarments, also refuted claims by Fairtrade International that the story was complete bunk. 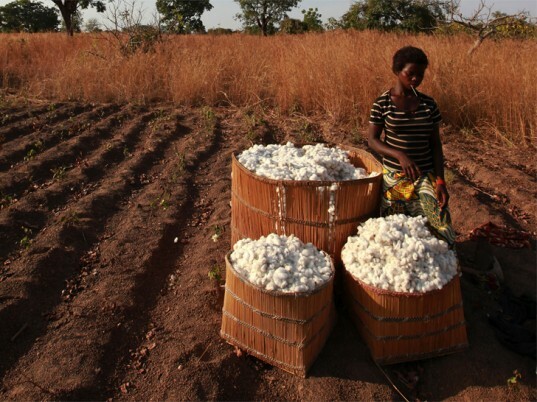 To thicken the plot, Fairtrade International, which oversees the fair-trade program in Burkina Faso, has also removed certain assertions about Bloomberg’s report from its website, specifically one that claimed that Cam Simpson, the reporter, asked a girl and her family to pose in a cotton field under false pretenses. One of the main sticking points? The age of Clarisse Kambire, the “13-year-old” who features heavily in Simpson’s original story. Fairtrade International, which obtained Kambire’s birth certificate and school records, claims she was at least 18 at the time of the writing—by no means a child as defined by the UN Convention on the Rights of the Child. One of the main sticking points? The age of Clarisse Kambire, the “13-year-old” who features heavily in Simpson’s original story. But Bloomberg News, which stands by its story, says that the birth certificate cited as evidence names a deceased older sister, whose name Kambire adopted after her sibling died more than a decade ago, according to their parents. (Kambire the younger supposedly has no birth record, which is a common occurrence across West Africa.) Simpson also claims he confirmed through several sources that Kambire indeed picks cotton for Burkina Faso’s fair-trade and organic program, not vegetables, as Fairtrade International countered in its rebuttal. The new wrinkle in the story involves the ICE Homeland Security Investigations division of Homeland Security, which Bloomberg News says is launching a preliminary inquiry into the matter per an anonymous source. (You can’t make this stuff up.) The department is responsible for the enforcement of Section 307 of the Smoot-Hawley Tariff Act, a 1930 law that bans the importation of goods produced by forced labor and allows the government to seize things and slap fines. But even if allegations of forced child labor are proven after a full investigation, Victoria’s Secret may suffer few repercussions. But even if allegations of forced child labor are proven after a full investigation, Victoria’s Secret may suffer few repercussions because it purchased the fiber through a third-party supplier. And before U.S. investigators can proceed, the government of Burkina Faso must first give the go-ahead. With the reputations of Simpson, Bloomberg News, Victoria’s Secret, and Fairtrade International on the line, it seems that no one is going down without a fight. We’ll keep you posted, as always—just as soon as we pick up our jaws from the floor. Movie version, anyone? DEC. 15, 2011: Bloomberg News exposes Victoria’s Secret’s alleged use of forced child labor in undergarments labeled “fair trade. DEC. 22, 2011: Rob Cameron, CEO of Fairtrade International, resigns, but a spokeswoman says his departure is unrelated to the article. JAN. 3, 2012: Fairtrade International refutes Bloomberg News’ allegations, claiming that “substantial contradictions” were uncovered in its investigation. JAN. 13, 2012: Homeland Security investigators launch preliminary inquiry. Skimpy underthings, fabricated events, thinly veiled threats, and a dead girl's birth certificate�just when you thought the Victoria's Secret West African child-labor scandal couldn't get any weirder, now Homeland Security is leaping into the fray, according to Bloomberg News on Friday. The media outlet, which "outed" the lingerie empire in December for allegedly using underaged labor in its so-called "fair trade" line of undergarments, also refuted claims by Fairtrade International that the story was complete bunk. 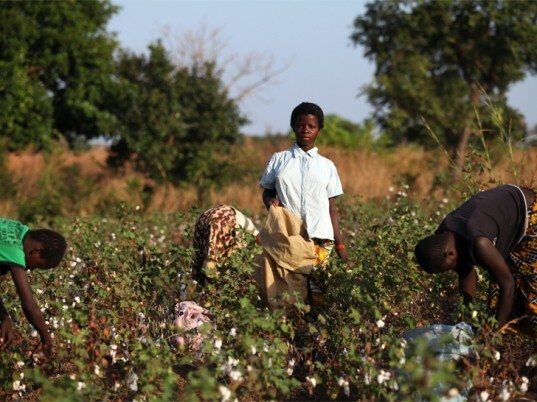 To thicken the plot, Fairtrade International, which oversees the fair-trade program in Burkina Faso, has also removed certain assertions about Bloomberg's report from its website, specifically one that claimed that Cam Simpson, the reporter, asked a girl and her family to pose in a cotton field under false pretenses.